Okay … so it wasn’t really dinner for two. 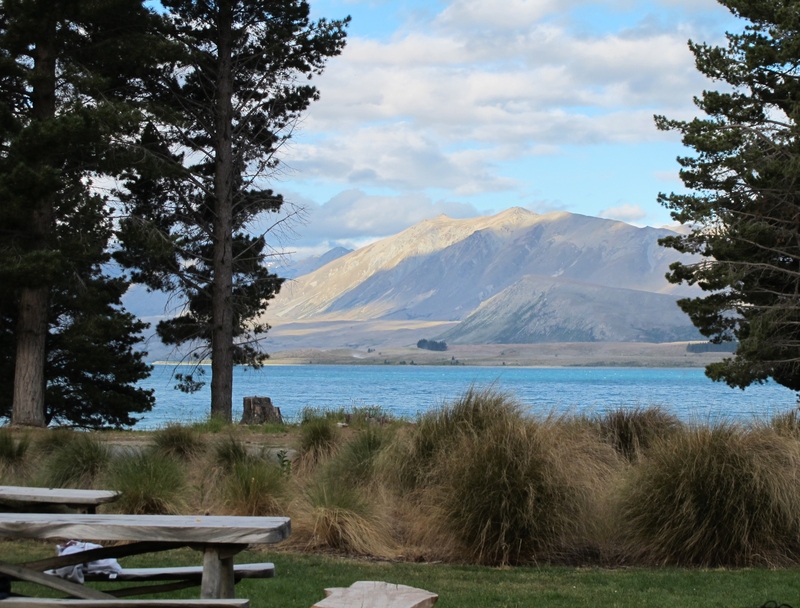 We had dinner lakeside at Lake Tekapo last night with a large group of folks who all pitched in making a big cookout for about forty people. I made my grandmother’s potato salad with John’s help (tons of chopping) and we had a lot of compliments even though it was missing a couple of ingredients. Here are a few our dinner companions post meal and cleanup waiting for a little Hokey-Pokey ice cream for dessert. Hokey-Pokey is said to be a favorite flavor of travelers through New Zealand and I have definitely become a fan. We’ve just arrived in Christchurch where I am posting this now from an outdoor café. This is our last stop before we fly to Auckland to spend a couple of nights before leaving for Christmas with my family in Atlanta. It’s been a wonderful trip and Christchurch looks at first glance as if it has enough charm to continue adding to the memories we’ve been busy making. 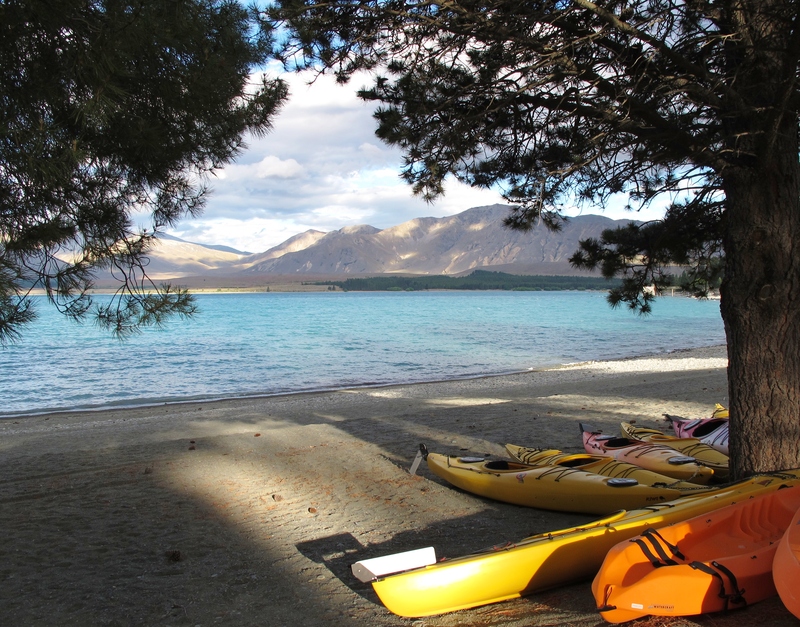 This entry was posted in Adventure, Photography, Travel and tagged Auckland, Christchurch, Elizabeth Harper, Gifts Of The Journey, Lake Tekapo, New Zealand. Bookmark the permalink. I love the light in those photographs! Where did you find the big group of people that you cooked with? 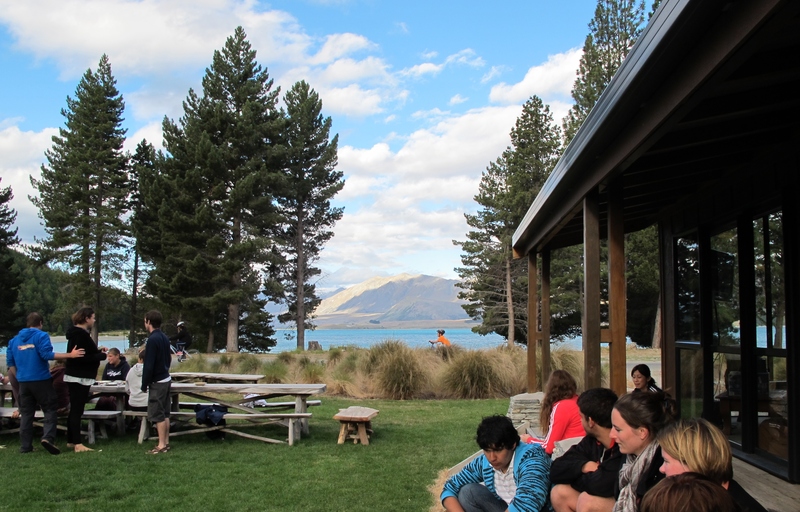 So glad you’ve had a brilliant trip in NZ! Greetings from the U.S. — we’re also here for Christmas. We really have to connect in England (or anywhere!) in 2011. Cheers for now and safe travels. Glad you’re loving NZ! we were there also for about 6 weeks, in the mid-90’s. Love it! I love to read your blog, so much! What a lovely life you are having. Looks like seriously good fun to me! Beautiful photos! So glad you’ve had this lovely trip that you’ll always remember. Your photos make one feel that they are virtually looking the the variety of scenes first hand. I have been taking photos of the North Western Canadian Arctic, although at the moment most of the day is in complete darkness. I wish I could take photos as professional as yourself. John has not changed since I first met him several years ago. There are places I would love to explore and New Zealand is one of them. You certainly have a good eye. What a fantastic trip you’ve had and what wonderful photos and write ups we’ve had to read. Here’s to a safe trip to Atlanta and a wonderful Christmas holiday for you and your family.